TeleDongle is the standard ground station electronics for logging telemetry from Altus Metrum flight computers. 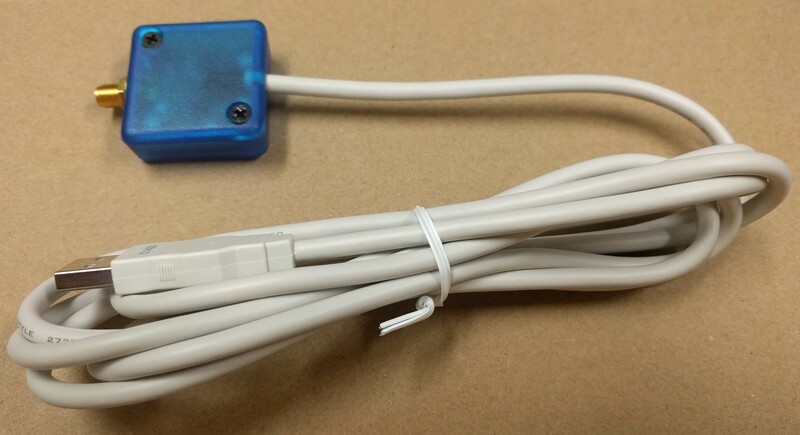 Plug the USB cable into a computer and TeleDongle shows up as a standard serial port. Attach a suitable antenna to the SMA connector and you're ready to go! Power is taken from the USB interface. While any 70cm antenna may work, we've had good success with the Arrow 440-3 Yagi. With one of our optional SMA to BNC adapters, you can mount TeleDongle adjacent to the antenna feedpoint for optimal performance. TeleDongle is mostly used as a receiver. Using it to transmit requires an amateur radio license or other authorization.